Five Jordanian women were chosen to participate in “Tech Women” program as part of the 100 women who were chosen from twenty different countries around the world. The participants were chosen by the program’s committee based on their excellent skills and achievements in the fields of medicine, engineering, and technology. 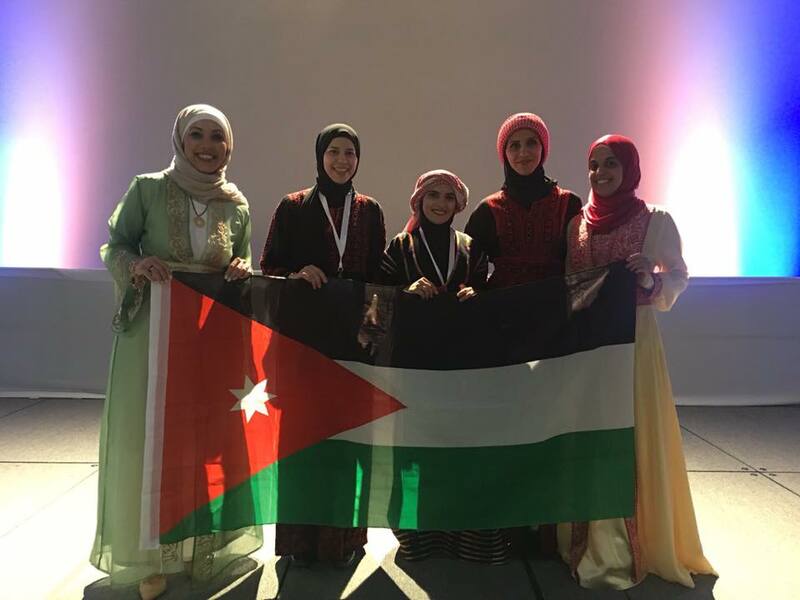 Out of the numerous applicants, TechWomen chose the following five Jordanian women to take part of the program which was held in the United States. Aia Abul-Haj is a Renewable Energy Engineer with over six years of experience in Business Development and Project Management. Her expertise revolves around Renewable Energy and Environmental studies. She has a BA in Industrial Engineering from the University of Jordan. She worked with local and international organizations that specialize in training youth in Entrepreneurship and Engineering fields in Jordan, Egypt, Sudan, UAE, Thailand, Malaysia, and Turkey. Abul-Haj is a founding member of the Arab Innovation Network; a pioneering project in spreading innovation in the Arab world. She is also a member of the American Project Management Foundation, the American Quality Association and the nonprofit organization; Institute of Management Accountants. She is also a founding partner in AL AZAL Engineering Services in the fields of construction, Renewable energy and water. Currently, she works as an Energy and Business Development Engineer in a local Engineering and Contracting Company. Amaal Khatatbeh has a BA in Renewable Energy Engineering from the German Jordanian University. Currently, she works as a Renewable Energy Engineer at the Energy and Minerals Regulatory Commission (EMRC). Khatatbeh is a renewable energy expert, an activist and a volunteer in advocating renewable energy and environmental issues. Hanan Jafar is the Assistant Director of the Cell Therapy Center in Jordan and a faculty member at the Faculty of Medicine in the University of Jordan. A former associate researcher at Queen Mary University of London, Jafar holds a PhD in Stem Cell Biology, a Master’s Degree in Anatomy, and a BA in Dentistry. She is a passionate scientist who has a special interest in Bioengineering and Biotechnology. Nabila Bashir holds the position of Head of Academics at Repton New English School in Jordan. With more than 14 years of experience in Educational Technology, E-Learning, Computer Graphics, Animation and Computer Science, Bashir is dedicated to integrating STEM education into teaching curriculum. She has a Master's degree in Education from the State University of New York College at Buffalo and a BA in Computer Science from the University of Jordan. Sondos Samara is the Quality Manger at the Environmental Laboratory. She is also the founder and CEO of SanadyME and a former lecturer at Israa University, Jordan. Samara has a Master's degree in Clinical Pharmacy, International Practice and Policy from UCL School of Pharmacy in London and a BA in Pharmacy from Jordan University of Science and Technology. TechWomen program aims to empower and support the new generation of women leaders from Africa, Central and South Asia and the Middle East. The program also supports the participants to advance in their careers. The program enhances the participants’ professional capacities, through mentorship programs expanding their interests in professions related to science, technology, engineering and mathematics through exposing them to role models and through project-based workshops in leading companies and consultation events, so that they can better serve their communities.